I am a Stealth Latino. By this I mean that although my ethnicity is Hispanic—specifically, Mexican American—I don’t look the type (or fit the stereotype), so I don’t show up as Latino on most people’s ethnic radar screens. A Germanic surname completes my ability to evade detection. Does this situation mean that I willfully avoid being “spotted” as Latino? Not at all. I’ve always been proud of my multicultural heritage, just as most other people are proud of their own backgrounds. I haven’t made a big deal of it; I don’t hide it, either; it’s just part of who I am. Over the years, however, I’ve often felt amused when people who don’t know me well express astonishment about my ethnic origins. The usual comment: “I never would of guessed!” True. Most people don’t. 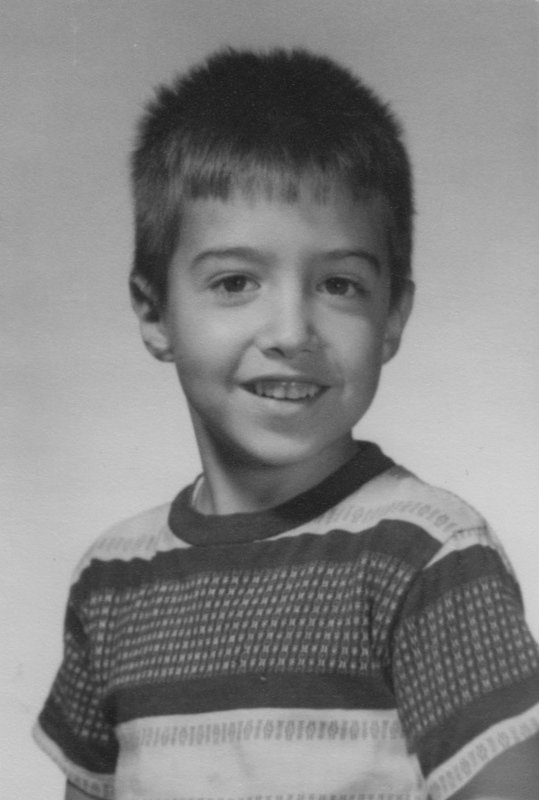 Except perhaps during my boyhood, I’ve never looked particularly Mexican American. And except for a few incidents during my youth, my looking non-Latino has spared me the full brunt of ethnic hatred. The situation feels different now. At a time of widespread ethnic tensions and growing anti-immigrant attitudes, when Americans of many different minority backgrounds are being viewed with suspicion and animosity, I find it difficult not to feel somewhat paranoid. A Stealth Latino like me rarely ends up the target of ethnic abuse, but I find this personal exemption cold comfort in our current sociopolitical climate. Precisely because I’m not easily identifiable as Latino, I overhear white folks expressing derision, contempt, or hatred toward Latinos precisely because they don’t spot me as “one of them“; and I overhear similar, very offensive expressions of derision, contempt, or hatred toward Americans of African, Asian, or Arab descent. Vermont is still a fairly civil place compared to many others . . . but I’m deeply troubled by the trends I see taking shape. I don’t want to wade into the quagmire of the current debate on immigration at this time. I do, however, want to describe what one Latino family experienced in the not-so-distant past. Will my commentary illuminate any aspects of where immigrants fit in American society? That question isn’t really mine to answer. My maternal grandparents were Gustavo Montemayor Dávila and Elvira Villarreal Vidaurre. (Mexicans, like most Latinos, use two surnames: the father’s first, the mother’s second.) Both families were long-time residents of a town called Múzquiz, located about 100 miles south of the Texas border in the Mexican state of Coahuila. Members of the landed gentry, both Gustavo and Elvira grew up in middle-class comfort. Born in 1888 and 1892, respectively, they married at some point around 1910. The Montemayor family owned ranches, warehouses, and a dry-goods business. During the decade that encompassed the Mexican Revolution (1910-1920), however, both families lost their land and businesses in the ensuing strife. 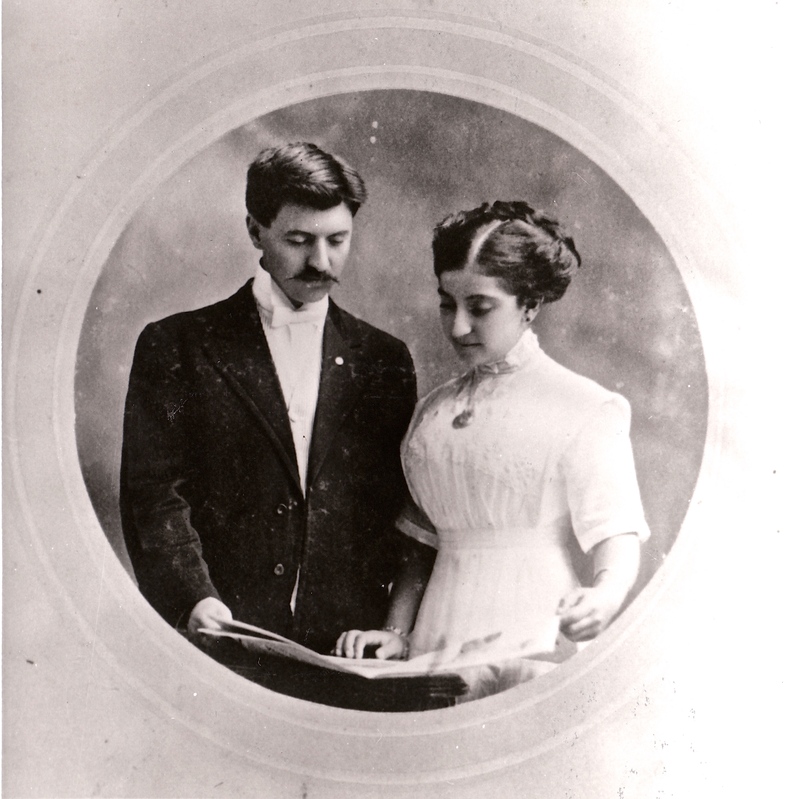 Gustavo and Elvira emigrated to the United States during that decade—tentatively in 1913, then permanently in 1920. They lived first in San Antonio, Texas; then in Chicago; and then in Janesville, Wisconsin. The family story is that Gustavo—who, as the patriarchal “decider” typical of Mexican culture, called the shots—felt so outraged about the family’s losses that he rejected everything Mexican: the country itself, the Spanish language, and the Catholic Church. I recall asking my mother why her father chose Janesville as the community for starting over. Her answer: “Well, he wanted a place as unlike Mexico as possible.” 1920’s-era small-town Wisconsin fit the bill. Gustavo was a classic example of the immigrant who fully disengages from the Old Country rather than romanticizing and longing for it. In any case, he and Elvira were intent on starting a completely new life in the United States. Gustavo found employment as a mid-level executive at the Parker Pen Company and worked there until his retirement in the late 1950’s. The early and middle decades of the twentieth century were an era in which high-quality pens held as central a place within the business world as high-tech gadgets are in our own time, so working for Parker Pen was a good post. Gustavo headed up the department for Latin American sales. Elvira, meanwhile, gave birth to six children and raised what all relatives and family friends have described as a loving, harmonious brood. 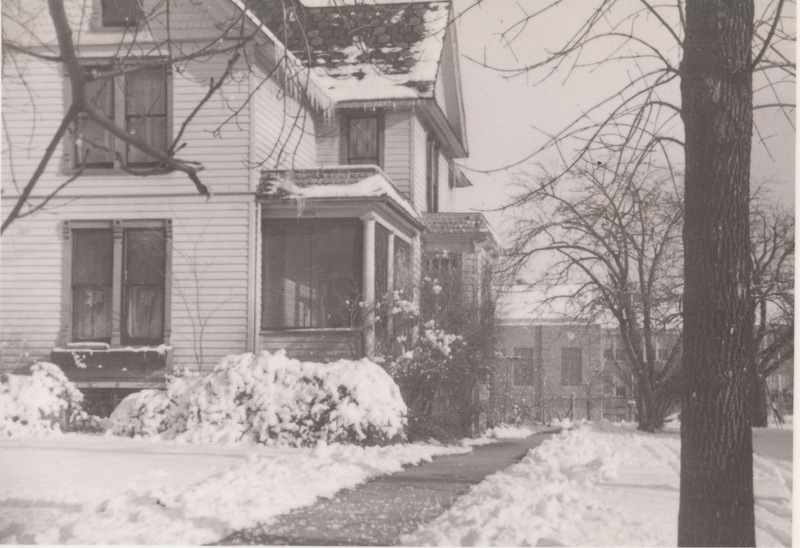 The Montemayor domain: a Victorian-era house in the white-bread town of Janesville. The Montemayor kids were two girls and four boys. In a photo taken around 1940, five of the six offspring posed with a young man who had married into the family. 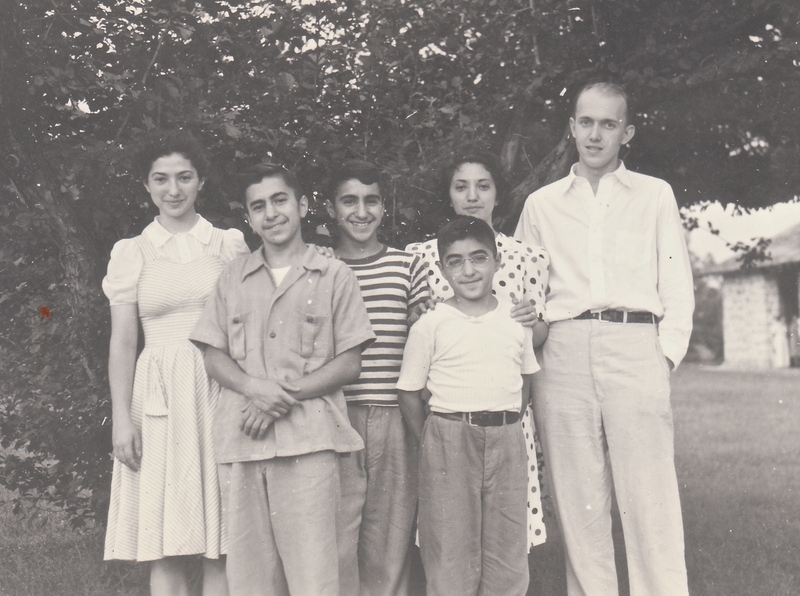 Pictured here from left to right are Bertha, Román (nicknamed Rummy), George, Estela, and, in front of Estela, Charles (“Charlie”). Not pictured is Gustavo Jr. (“Gus”). The tall, shy-looking fellow standing next to Estela: a philosophy Ph.D. candidate, Francis M. Myers, who hailed from a German/Scottish-American family rooted in Kansas City, Missouri. They had met while both were attending the University of Wisconsin, Madison, and had married in August of the preceding year. All of the Montemayors of that younger generation went on to complete college degrees. With one tragic exception, they proceeded to successful careers and raised families. 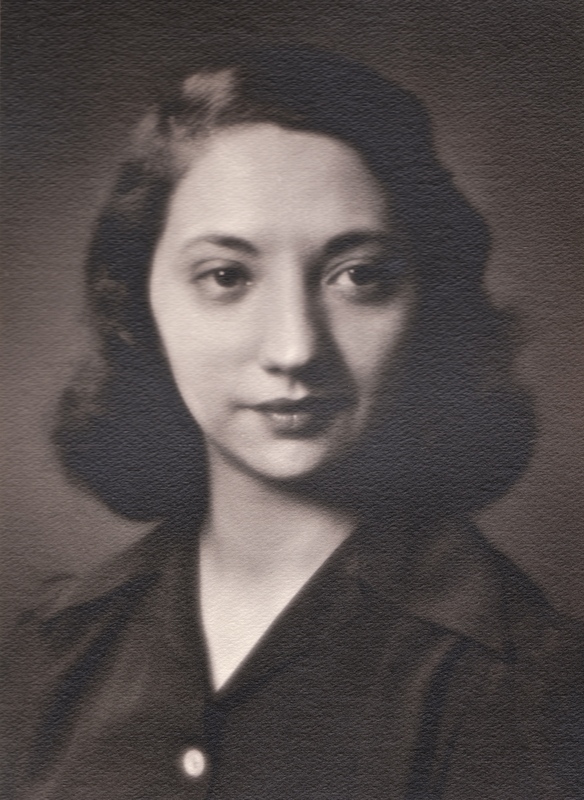 My mother, Estela, specialized in Romance languages and taught Spanish in a variety of roles over the years, including as an instructor at the University of Denver. 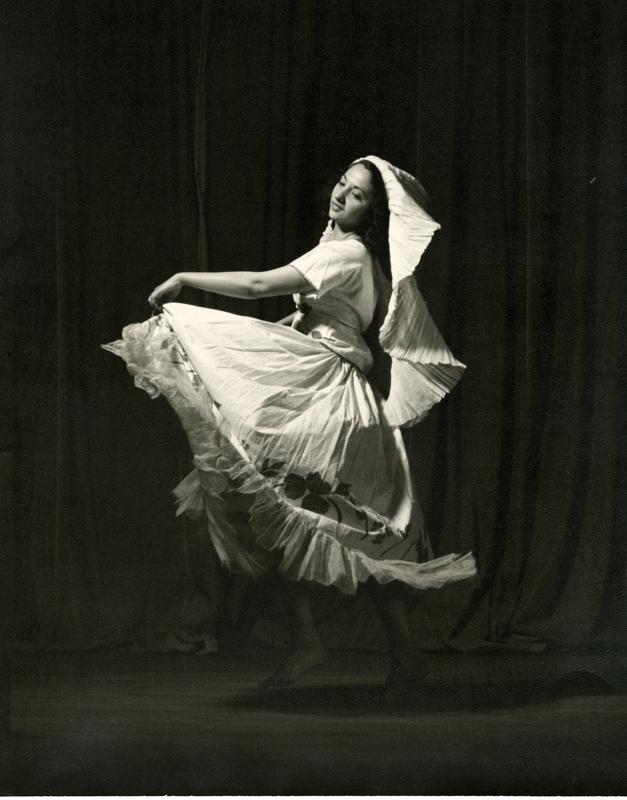 In addition to her linguistic abilities, she had a great love of Mexican traditional dance. Her frisky intelligence and irreverent sense of humor made her somewhat controversial in suburban Denver during the buttoned-down Fifties, but her warmth and lack of pretense won over almost everyone who met her. She was a patient, loving mother who somehow managed to retain her sanity while raising three sons. Following many years of struggling to control her high blood pressure, she suffered three cerebral hemorrhages in 1980 that proved fatal about a year later, just a few days after her 68th birthday. Bertha, the second daughter and the third-oldest among the Montemayor siblings, possessed both great beauty and a strong gift for languages. She taught for many years at a private academy in Indianapolis, Indiana, and simultaneously raised three children. Bertha died in 2007 at the age of 86. According to every account I’ve heard, my four Montemayor uncles were all smart, kind, thoughtful men. I knew Charlie best—he was always my favorite, and he outlived his brothers by many years—but I also have fond memories of George and Rummy. I never knew Gus (for reasons I’ll explain in a moment.) All four Montemayor sons served in the American armed services during World War Two, and three of the four went on to successful careers in their chosen fields. Gus joined the army and served honorably for several years. 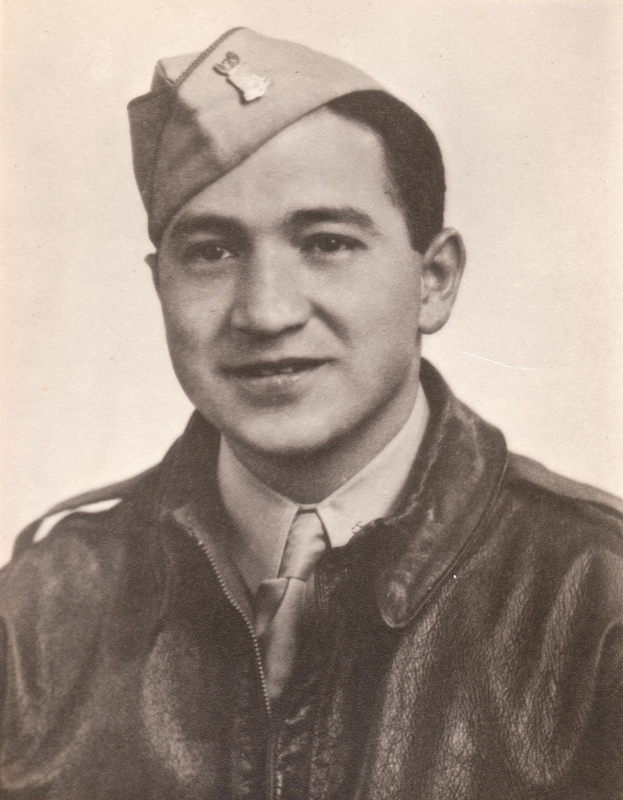 He died on September 16, 1943, when the military plane in which he was a passenger crashed during a training exercise in advance of the D-Day invasion that began nine months later. Gus was 28 years old at the time of his death. 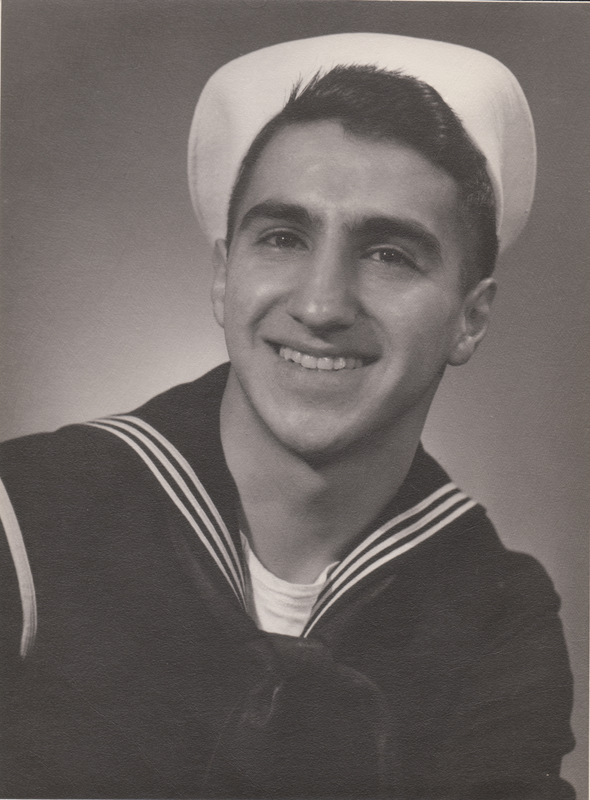 George joined the Navy, survived the war, went on to become a successful patent attorney in Wisconsin, and helped to raise three daughters. He died in 1968 at age 42 shortly after receiving a diagnosis of acute myelocytic leukemia. Rummy was especially close to my mother. 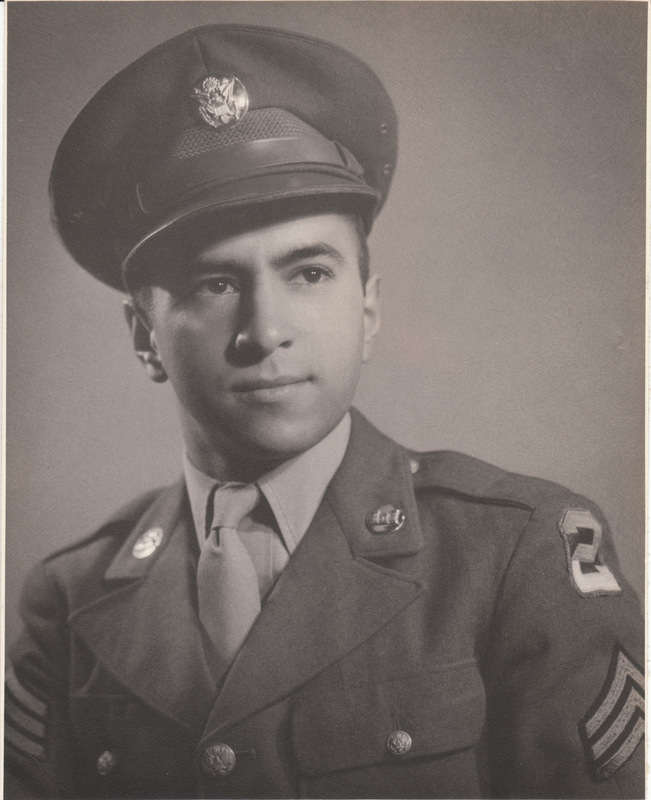 Along with his brothers, he joined the war effort and served in the U.S. Army. I can’t recall his post-war profession, but he may have emulated his brother George by training as a lawyer. I have warm recollections of this gentle, playful man only up to when I was six. At that time, in 1956, another family tragedy cut his life short: Rummy, age 32, died in a car accident. The youngest of the brood, Charlie, joined the Army during the final years of World War Two, served in Korea, then returned to civilian life and trained as an urban planner. 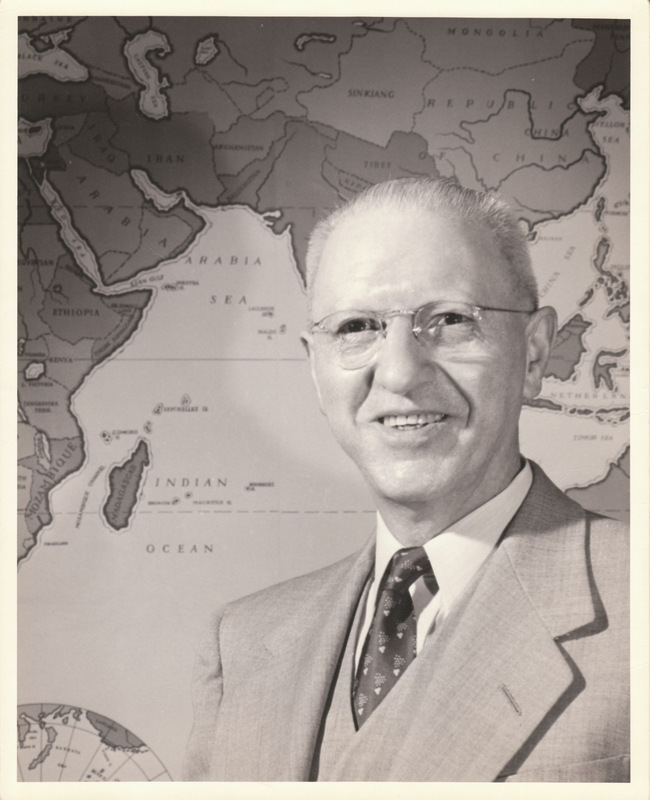 He was the executive director of the planning commission for Dane County, Wisconsin, which encompasses most of the Madison area, and he held that position for several decades. Charlie was warm, funny, and the most optimistic person I have ever met. 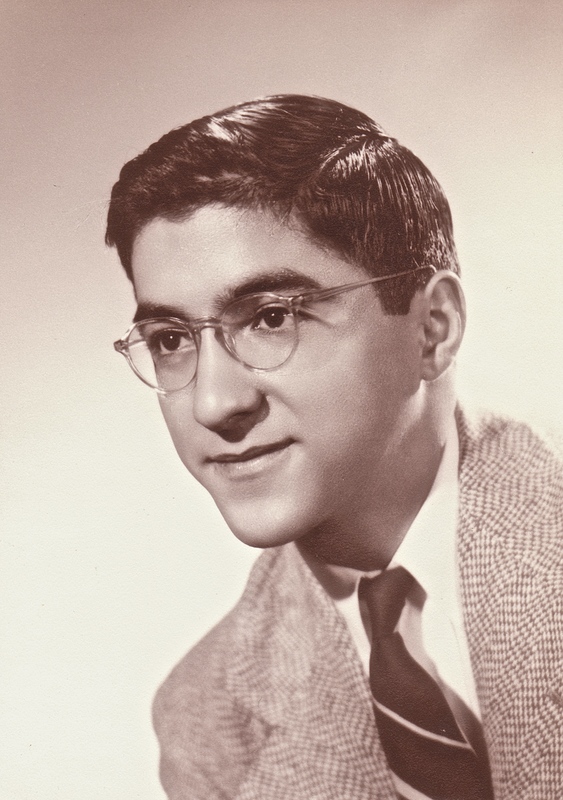 Following a long struggle with prostate cancer, he died at age 80 in 2008. 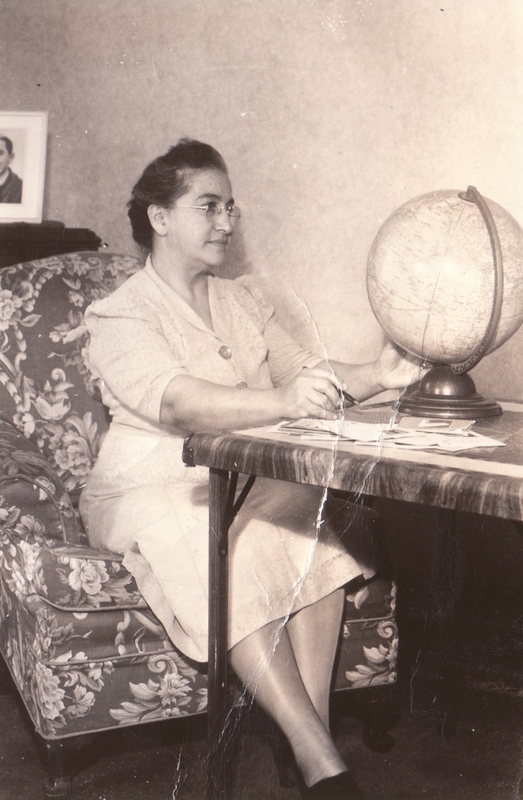 When I view these and other photos of the Montemayor family, and when I reread the handful of letters I’ve acquired that describe their formative years and adult lives, I’m aware of both how lucky I’ve been to know my Mexican American relatives and also how little I know, ultimately, about them. Even my mother, whom I knew far better than I knew her siblings or their parents, was in some respects a mystery to me. It’s not clear, for instance, whether her intermittent struggles with depression were a consequence of biochemical factors or a side effect of the difficulties she faced because of mid-century gender roles—or because of being Latina within American culture. Maybe all of the above? 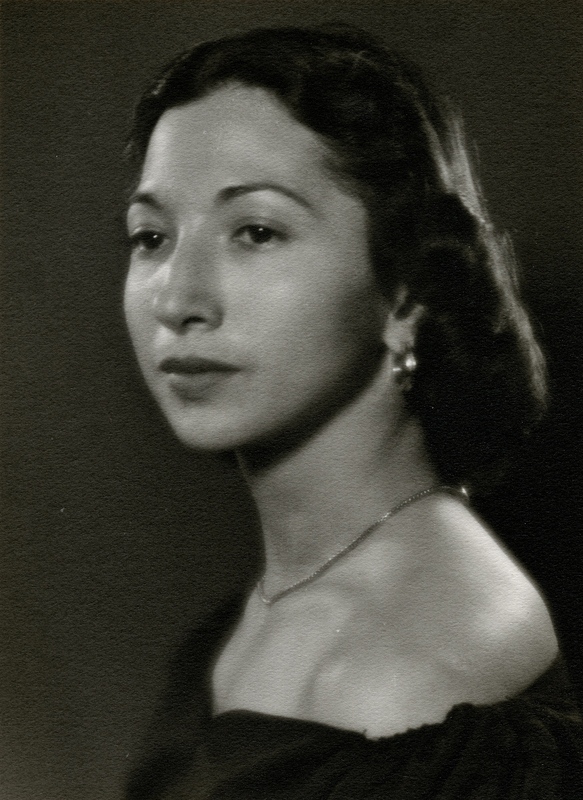 In any case, I believe that her combination of shrewd intelligence and girlish vivacity—not at all uncommon among Hispanic women—prompted some non-Latinos to find her puzzling, even exasperating. I’ll never know the answers to my questions about her or her family members. As a youth, I was too self-involved to inquire about their interests or past experiences; about their difficulties, delights, victories, and defeats; or about their relationships to one another and to people in the wider world. Now they’re all gone. A brief digression now: a sidebar in my discussion of weasels in Vermont. Consider the painting above and the two splendid subjects it portrays—one a paragon of the species Homo sapiens, the other of Mustela erminia. At some point around 1490, Leonardo da Vinci painted this portrait of Cecilia Gallerani, a young Milanese noblewoman. Cecilia was fifteen or sixteen years old when she sat for Leonardo. Hailing from a family affiliated with Leonardo’s patron, Ludovico Sforza, the Duke of Milan, Cecilia was Sforza’s mistress. She may have been pregnant at the time of her sitting for this portrait; in May of 1491, the Duke acknowledged that Cecilia had borne his son. The ermine she holds is symbolically resonant in terms of her relationship with the duke: first, because the Sforza family crest included an ermine among its heraldic elements; and second, because during the Italian Renaissance, the weasel was associated with pregnancy. In any case, “Lady with an Ermine” is a remarkable portrait, as beautiful in its own way as Leonardo’s painting of Lisa Gherardini, the subject of “La Gioconda,” the Mona Lisa, and as serene and enigmatic. And the ermine? His or her name has been lost in the mists of time. All we know is that Cecilia had to settle for being Leonardo’s second-most famous model, while the critter in her arms goes down to posterity as the most famous weasel in history. I have always hated killing animals, including rodents. This aversion has been a longtime city-dweller’s luxury and hypocritical besides: although I was completely vegetarian during my twenties and early thirties, I now eat meat once or twice per week. 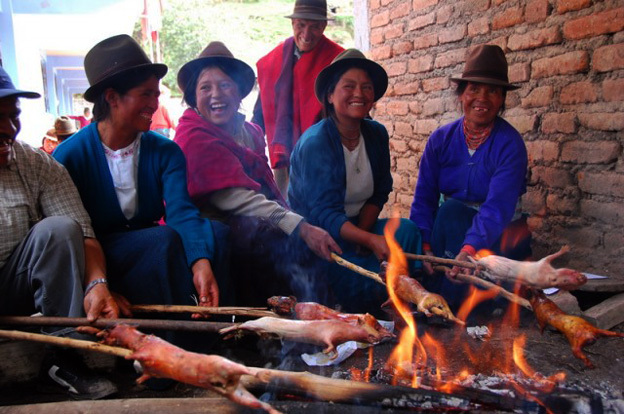 Rodents aren’t on the menu in our household, but during the 1960s and 70s, when I lived in Peru off and on for almost three years, I periodically sampled picante de cuy—spicy grilled guinea pig—which is standard fare in the indigenous cultures of the Andes. But I can also recall feeling deep sadness from the age of five and older when I found dead mice in the snap-traps that my parents had set in our family home. The sleek, glossy fur … The slim tails … The tiny paws with those perfectly formed, finger-like claws … The shiny, midnight-black eyes … Killing these animals seemed an injustice. 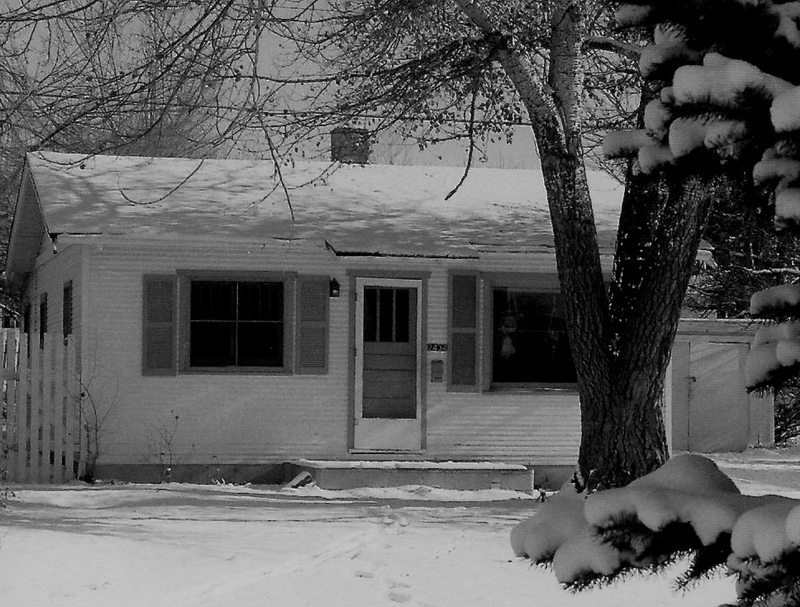 After graduating from college in 1975, I shared a thin-walled, drafty little bungalow with my girlfriend at the time. Judith and I were avid yogis. One of the precepts we followed was ahimsa, the practice of nonviolence. In addition to being strict vegetarians, we expressed our commitment to ahimsic principles by avoiding any actions that might result in the death of another sentient being. Even flies venturing into our little house benefited from our pacific attitudes: we caught them in jars and released them outside. The notion of setting a spring trap to kill mice was unacceptable. How, then, could we cope with the vermin that raided our pantry, scattered droppings throughout the house, skittered across the floor at night, and at one point even scampered over us in our bed? The infestation was intolerable—but so was the notion of slaughtering the creatures that caused it. Nowadays it’s not difficult to purchase a non-lethal mousetrap, but no manufacturer had marketed anything of the sort back then. Even the Havahart company, well known for making traps designed to catch raccoons, squirrels, and other animals, produced nothing at the time small enough for catching mice. 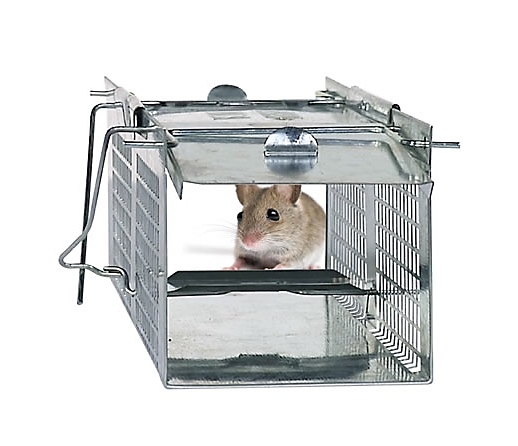 Undeterred, I purchased the smallest Havahart trap available, which was constructed of steel wires too widely spaced to constrain a mouse, and I used surgical sutures to stitch pieces of window screen around the whole device. Judith and I then proceeded to catch a shocking number of mice, sometimes two or three per day, sixteen to eighteen per week, which we deported to a park five or six blocks from our cottage. Problem solved; karma unsullied. The modus I employed decades later as a family man battling squirrels and mice in suburban New Jersey riffed on the earlier methodology. Squirrels proved to be manageable invaders—easy to catch, easy to deport to a nearby nature preserve. The result was a war of attrition, not of victory, but I prevailed against my foes. Attempting to spare mice through the use of nonlethal mousetraps, however, often produced frustrating outcomes. Tiny creatures don’t last long without food and water. More than once I found my quarry alive but debilitated inside the trap: terrified, hungry, thirsty, exhausted, fur spiky and damp with urine. Sometimes I would forget about the traps altogether, which led now and then to my discovering a dead mouse that had surely died a slow, painful death rather than a quick, painless one. And the new critter—the snow-white rodent that suddenly appeared in our house on Hyland Hill? How, I wondered, should I respond to her arrival? A few days after spotting this invader in the garage, I learned from a little Internet research that I’d seen an ermine. This species, also known as the short-tailed weasel, is classified as Mustela erminea and, according to one guide I consulted, “is distinguished from the least weasel (Mustela nivalis) by its larger size and longer tail [and its] prominent black tip.” (Is there a most weasel, too?) 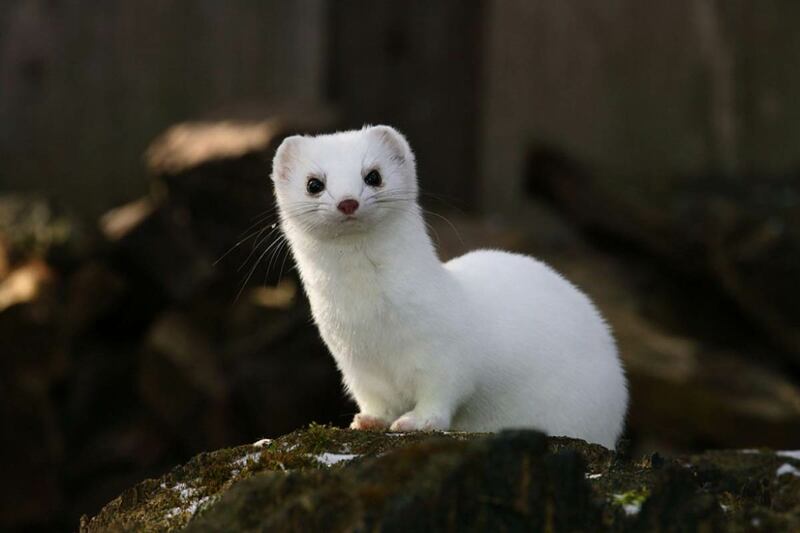 Dark and two-toned in warm weather—sandy brown on the back and head, creamy tan on the chest and belly—the ermine’s fur turns pure white in winter. This snowy coat makes the animal’s large, round eyes even more striking than they would look otherwise. The species inhabits territory spanning most of the North American continent. 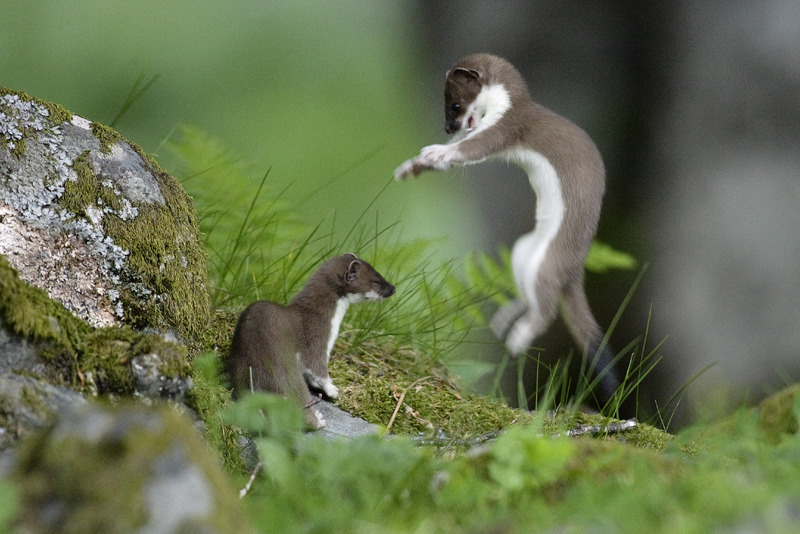 “As with the least weasel, mouse-like rodents predominate in the stoat’s diet,” the guide’s author notes, using the British name for the same creature. 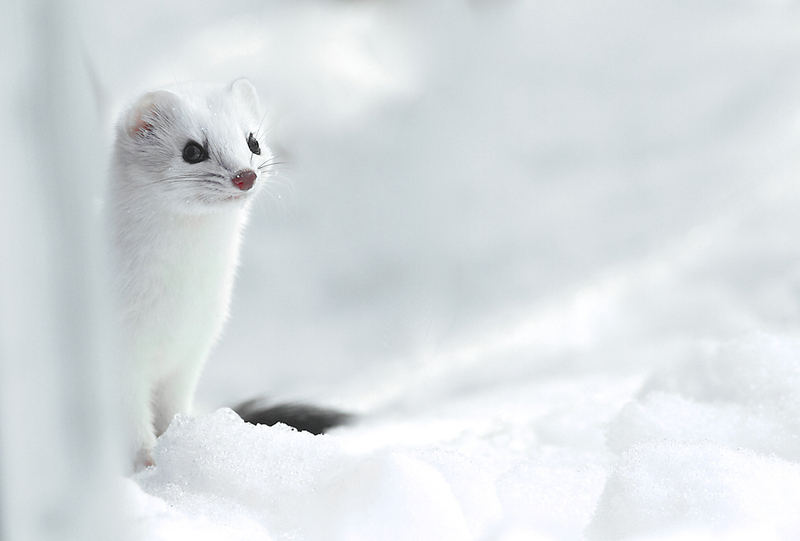 “However, unlike the least weasel, which almost exclusively feeds on small voles, the stoat regularly preys on larger rodent species.” Was it possible, then, that because of the ermine’s dietary preferences, any effort I might make to trap and deport ours (I have already started to regard her as “ours”) would be counterproductive? Far from infesting the house, she might be a useful ally in holding down other rodents. Some members of the weasel family will even attack and kill rats. These aspects of the situation suggested that peaceful co-existence might serve both the human and mustelan species residing on our property. On the other hand, weasels burrowing through the walls could easily damage the expensive insulation that we’ve installed to keep the house warm in winter. How, then, should Edith and I cope with the dilemma we faced? 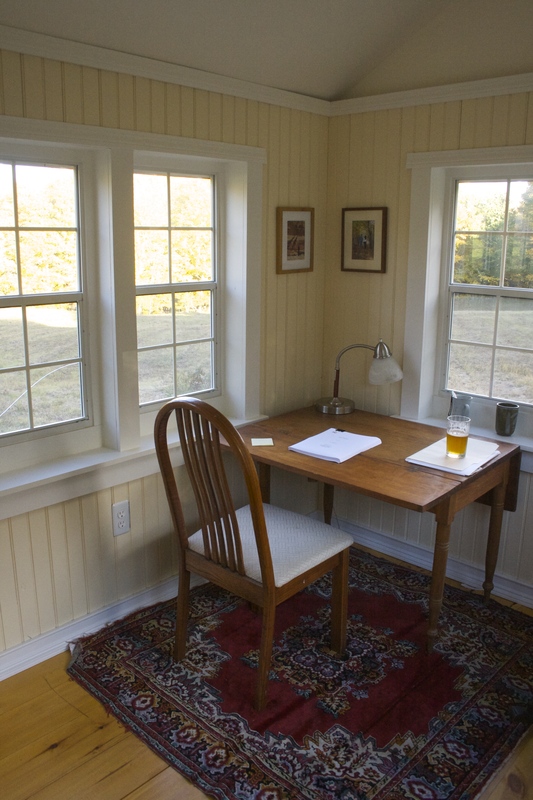 Friends and family who have visited Edith and me at Hyland Hill know that my writer’s shack is also my meditation hut. Why, then, would I drive almost an hour north to meditate in an unfamiliar place? The answer: to meditate in an unfamiliar place. 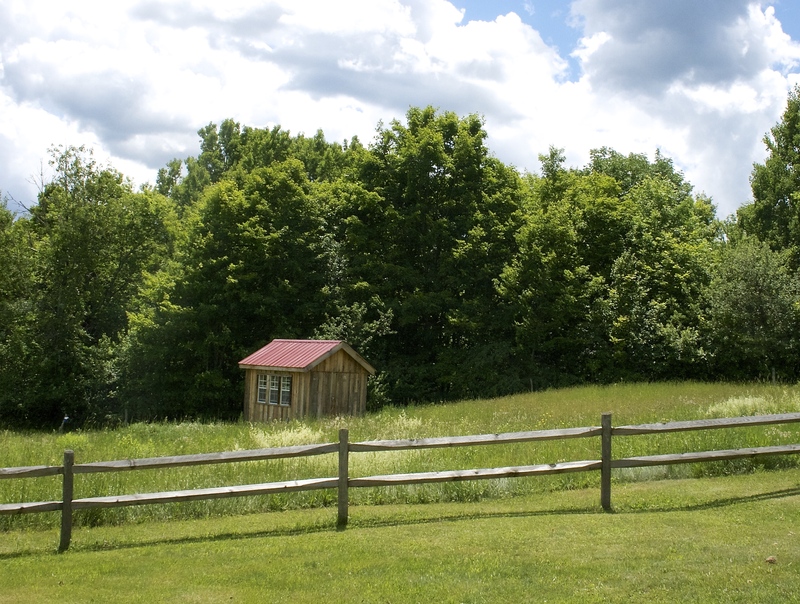 My little shack is so familiar, so comfortable, and so congenial that meditating only there could become risky. It’s a little too familiar, too comfortable, too congenial. All the better, then, to alter my routines and disrupt my habits. 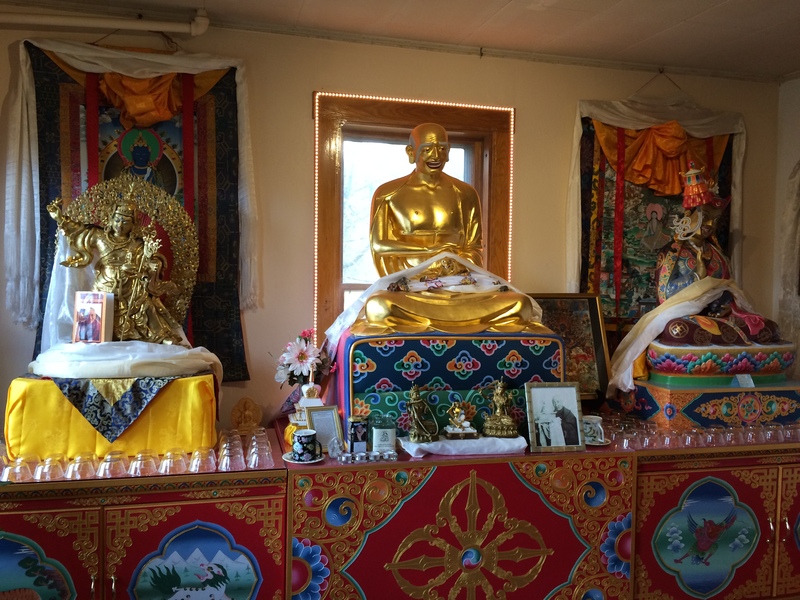 In addition, I’m interested in visiting a variety of sanghas (communities) over the next few years to get a better sense of Buddhist practices in Vermont. The Milarepa Center was my first of these visits. 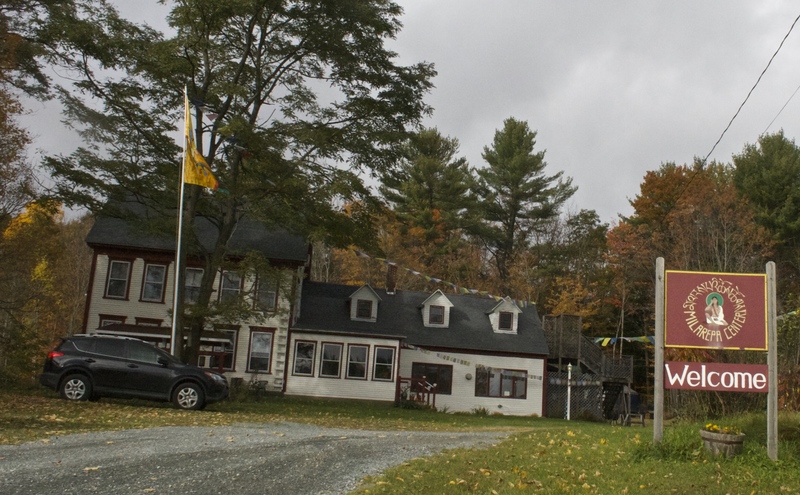 So, after e-mailing back and forth with Felicity Keely, the Center’s thoughtful and helpful director, I reserved a cabin and, a few weeks later, I showed up for the retreat. The cabin in question was Chenrezig, a one-room hut located a few hundred feet from the main house. Inside this little room I found a bed, a desk, a lamp, a heater, and a table equipped with an electric tea kettle and some packets of tea. A picture window looked out into the woods and down toward the house. 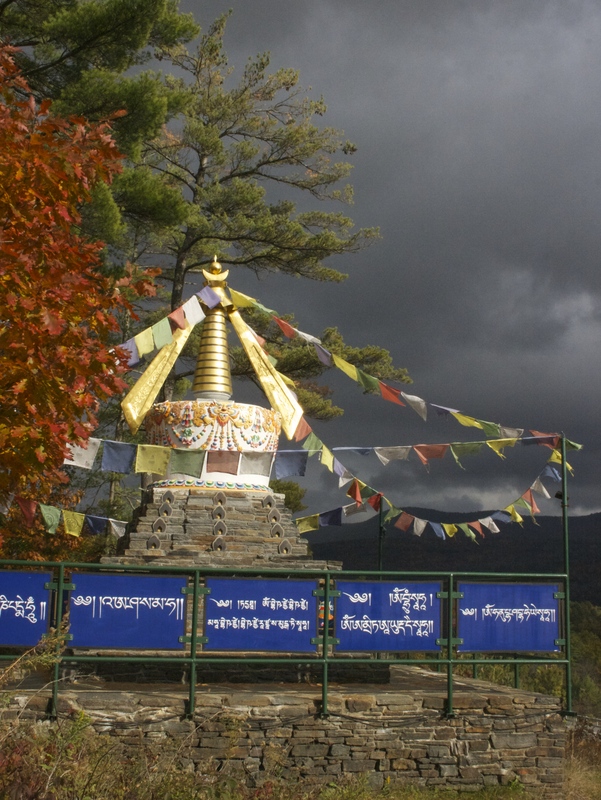 Chenrezig offered just enough amenities to provide basic comfort but not so many as to create distraction. The falling late-autumn leaves outside created an arrhythmic ticking sound on the roof, and the sun light pushing through the foliage tinged the walls a golden hue almost all day long. My stay at the Center ended up slightly shorter than I’d planned, as the new pellet-fired boiler back at Hyland Hill had started to act up, requiring my attention and prompting me to leave on Sunday evening rather than remaining for a second night and leaving on Monday. Even so, I had an enjoyable visit. I meditated throughout most of both Saturday and Sunday; I visited with the on-site staff members and two residents; I took several walks on the Center’s 276-acre wooded property; and I explored the library and the bookstore inside the main house. Everyone at Milarepa warmly welcomed me and cordially answered my questions. Among the people who explained aspects of the Center’s mission, history, and programs were Felicity Keely, the director; Kiira Anderson, the Spiritual Program Coordinator; and Samantha Ferrato, the Kitchen Manager/Cook. 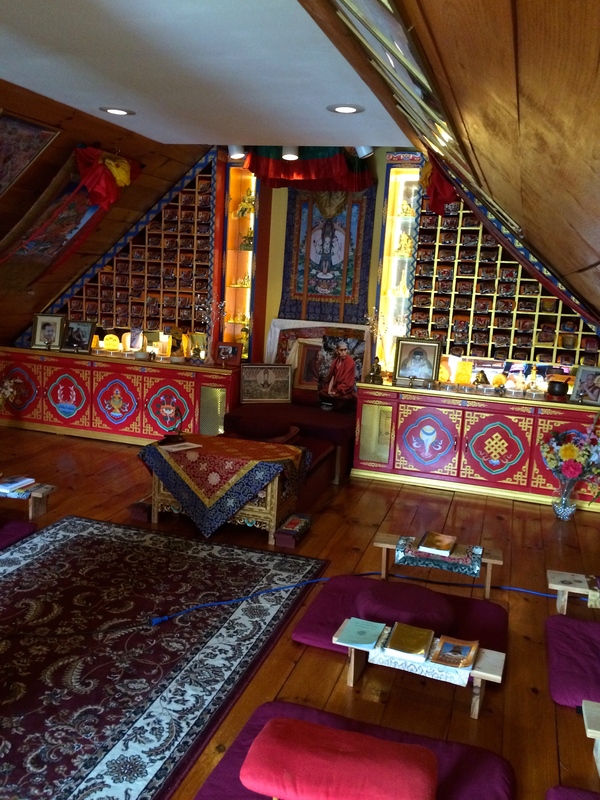 Kiira took me on a tour of the facility that included a stop at the Center’s gompa (meditation hall): . . .
Later, while walking on the grounds, I visited the Center’s stupa, a large reliquary used as another site for walking meditation. My own walking meditation focused on exploring the Center’s woods, an extensive hillside preserve criss-crossed with trails. 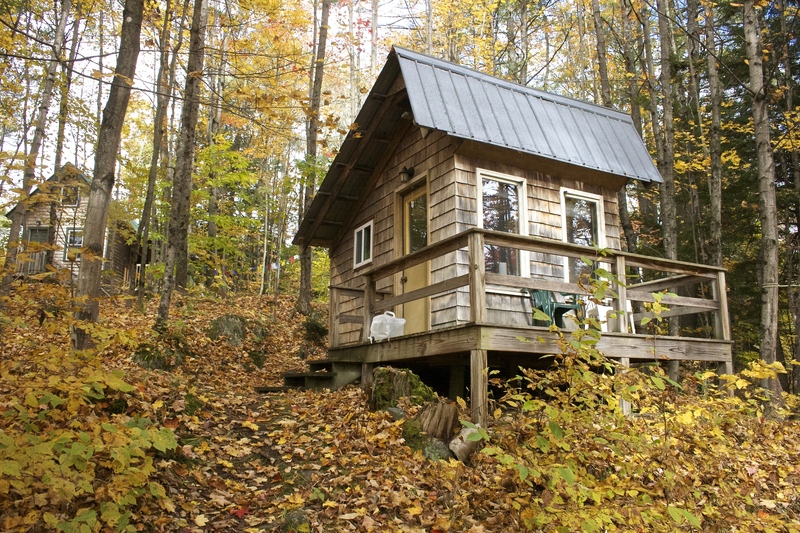 Deep in this forest are several more meditation cabins. (Among the practitioners who have these huts are visiting Tibetan lamas whose retreats have lasted many months or even three to four years.) I also spotted Buddhist-style “POSTED” signs nailed on trees to warn trespassers and to prohibit hunting. One of these, affixed to a large maple next to a conventional sign, is the most polite, earnest, and plaintive warning I’ve ever seen. 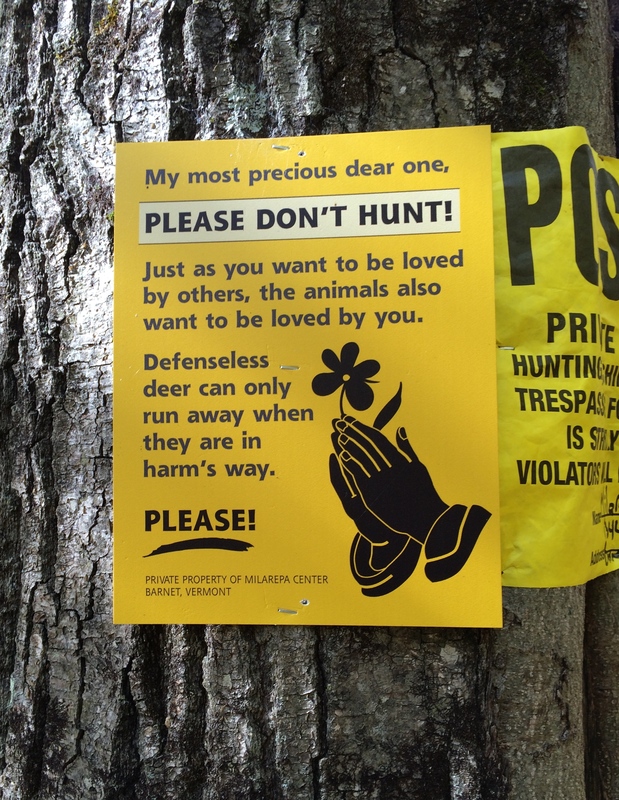 Given what I’ve witnessed over the years while observing Vermont hunters in the woods––or at least the subset of hunters who couldn’t care less about trespassing or about hunting on “posted” land–– I’m surprised that this sign wasn’t riddled with bullet holes. Who knows? Perhaps beseeching even scoff-law hunters is more effective than threatening them. 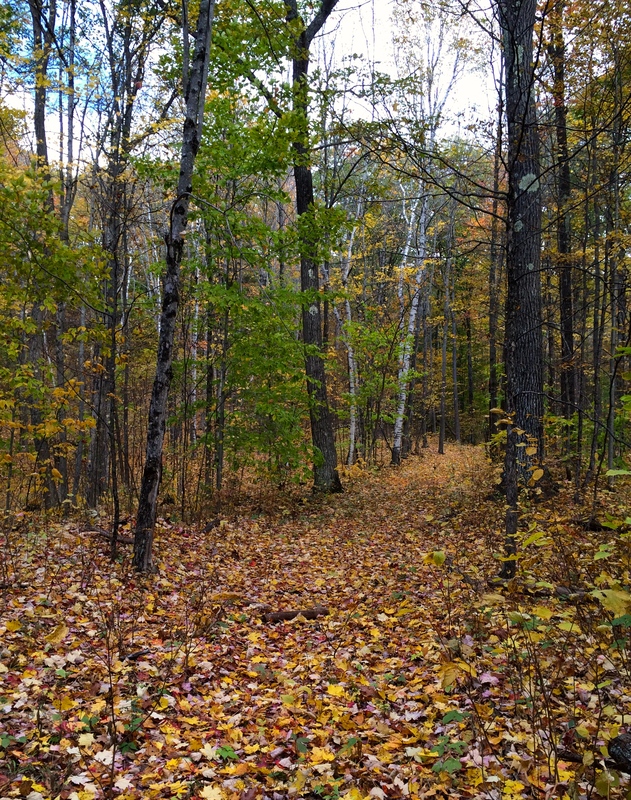 In any case, I found the woods a source of great solace and peace of mind, as I always do. The path is uncertain, but I find it compelling and want to explore where it goes. 1) How can six months have passed so quickly?! 2) Is there a tear in the space-time continuum that’s letting all those days, weeks, and months leak away into some other realm of the universe? If you have any answers to either or both questions, please let me know ASAP. Just dial 1-800-TEMPUS-VOLAT. Operators are standing by. On the plus side, the autumn has been wonderful so far as well. Edith and I have enjoyed visits from several couples. We also had some splendid family time with Cory and Robin, abundant time to write and play our instruments, and good weather for hikes and outdoor work. The gardens have provided us with lots of flowers and vegetables. One strange bounty was simultaneously a flower and a vegetable: the always bizarre, always wonderful, always otherworldly artichoke. I’d never tried growing these before, but my first effort somehow succeeded. (Beginner’s luck?) 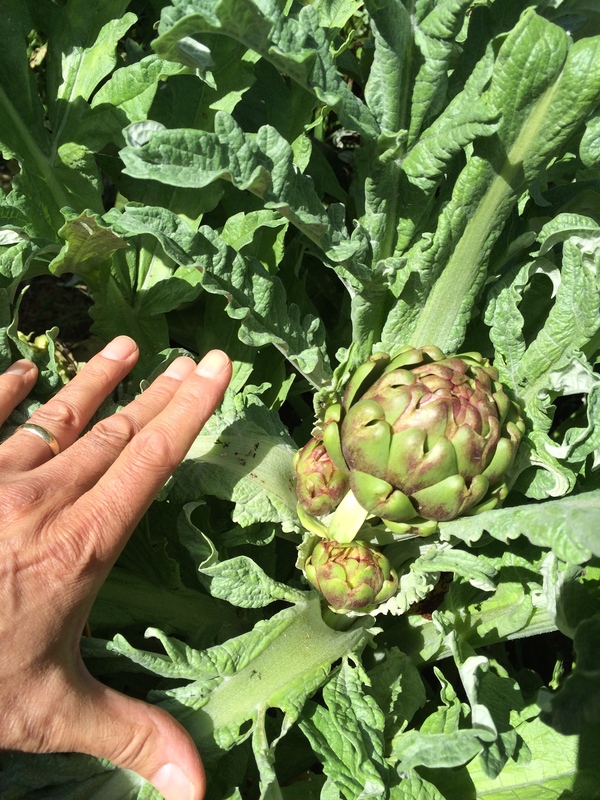 We managed to harvest two mature artichokes before a series of hard frosts killed the rest. And the visits I mentioned? We’ve had lots of wonderful company. 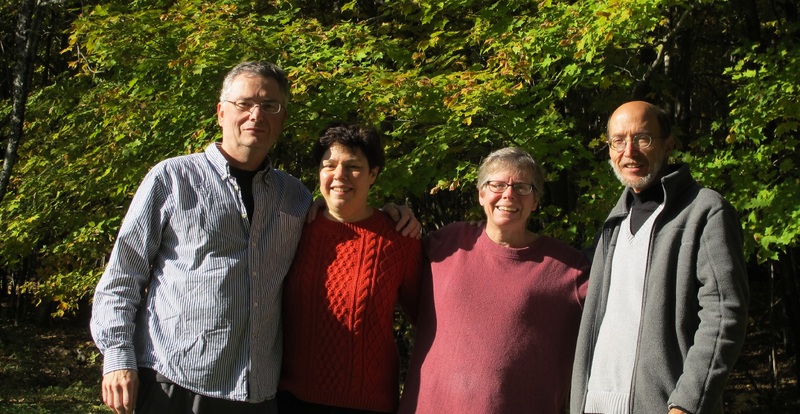 Among our out-of-town guests were Jim Barszcz and Jane Seiden, good friends from Maplewood, who spent a weekend with us in early October. The bad news first: Hyland Hill is running out of ice. 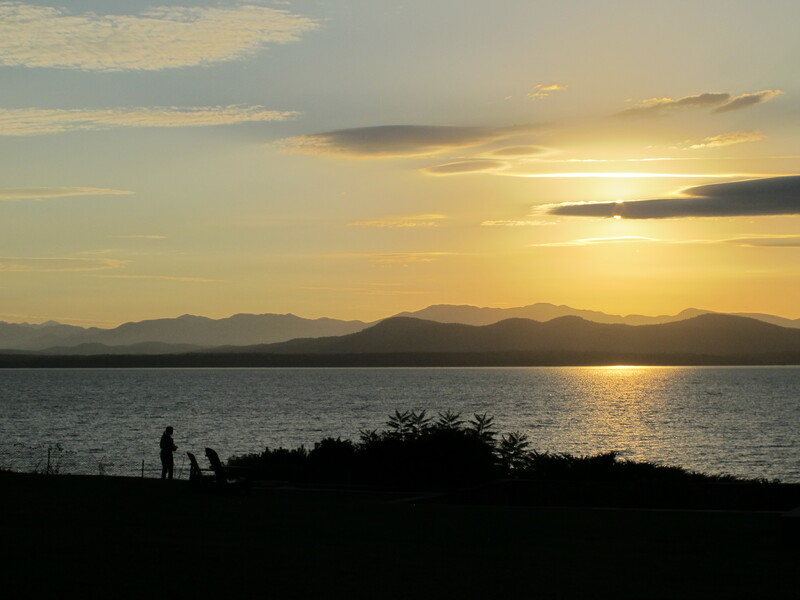 Spring creeps north, the days grow longer, the temperature soars each day into the 20’s. There’s still at least three feet of snow spread out on the meadow, but our house and our outbuildings have shed their great racks of icicles. Although the snow will linger for a few more weeks, the ice will soon be gone. The good news: we still have one last selection to ship. Stockpiled a few weeks ago, this is an icy fringe that Edith and I found covering our raspberry patch one morning. 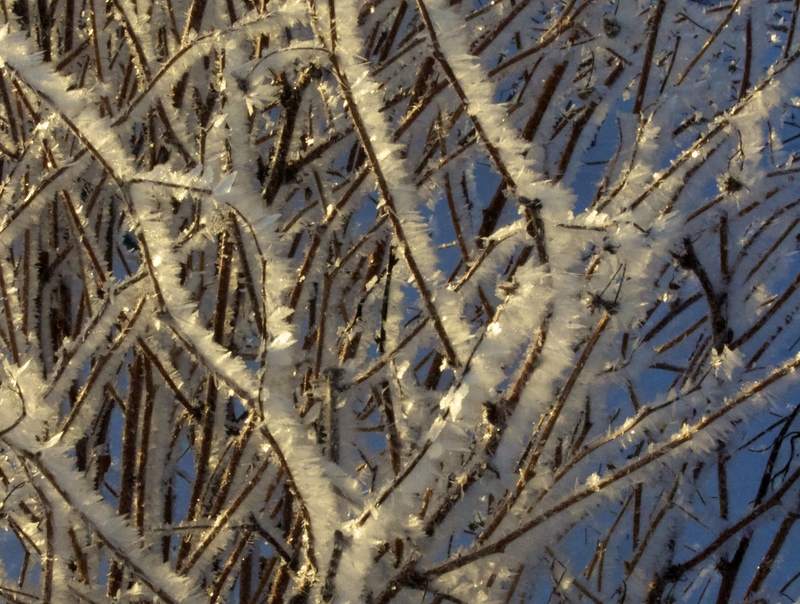 Crystals had formed overnight, thousands of them, all somehow aligned so abundantly and evenly that they resemble an infinity of pure white thorns. Farewell (and good riddance), winter. Welcome (and please hurry up! ), spring. It’s been a tough winter. The toughest winter of all in this country has been what the snow-assaulted, snow-beleaguered, snow-burdened Bostonians have been (and are still) suffering through. So, as a small virtual respite from cold weather, I’m offering the conclusion to my series of posts about moths. 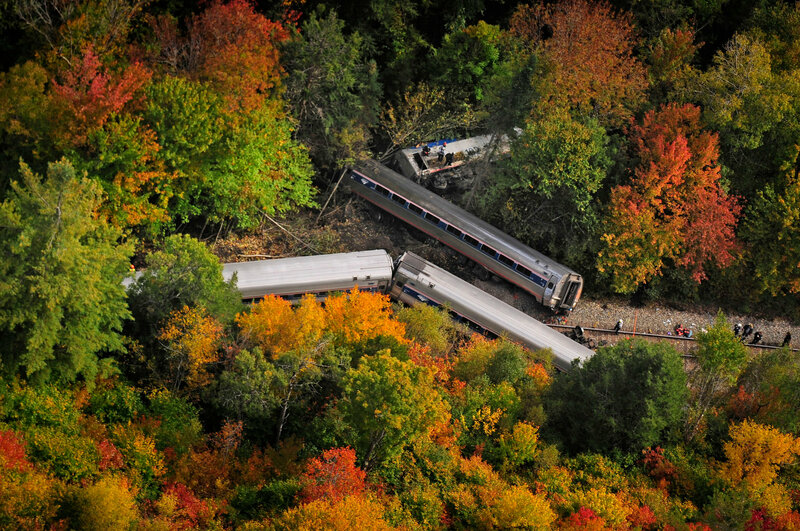 The incident related here took place a few years ago in August . . . thus the profusion of flowers and, unexpectedly, the creature we found among them. 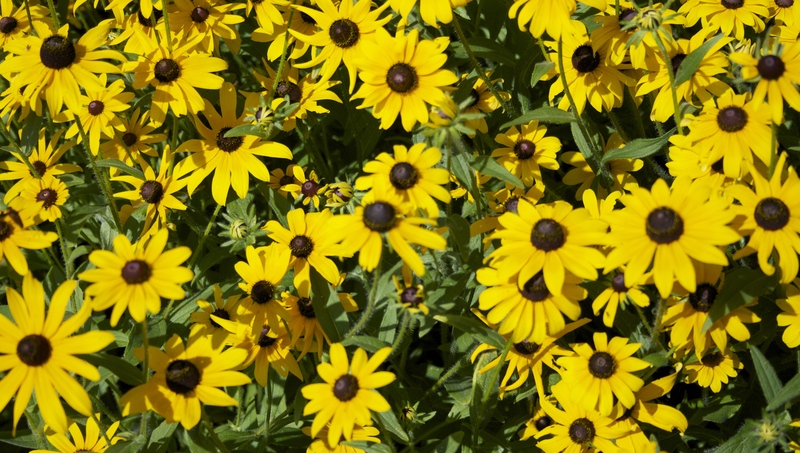 One summer afternoon, during a visit from our friend Dianne, my wife and I show her the front flowerbeds. 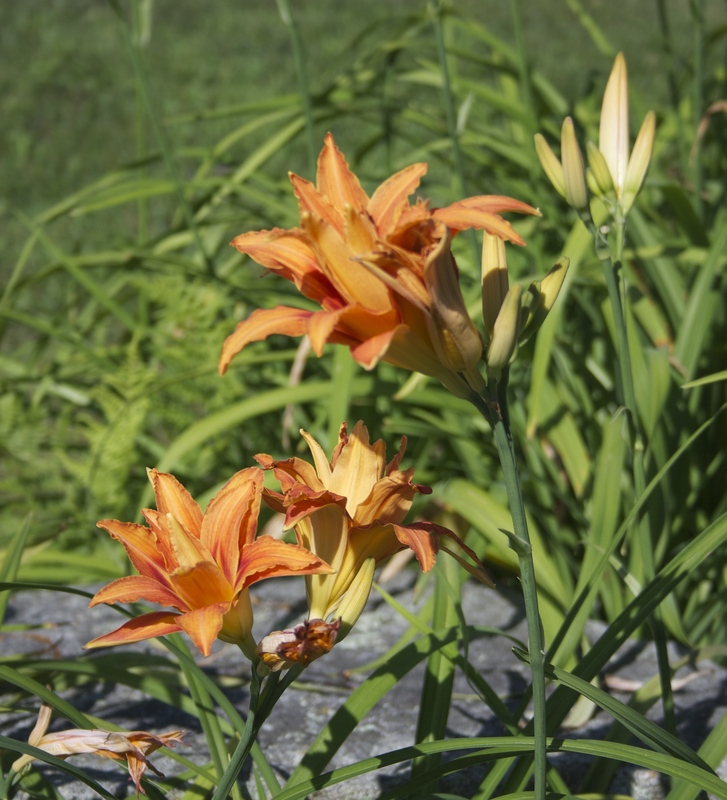 The previous owners of the house had operated a commercial flower business on Long Island for many decades, and they had lavished great skill and attention on their own property as well, so the gardens on Hyland Hill delighted us from the outset with their size and the variety and splendor of their plantings. 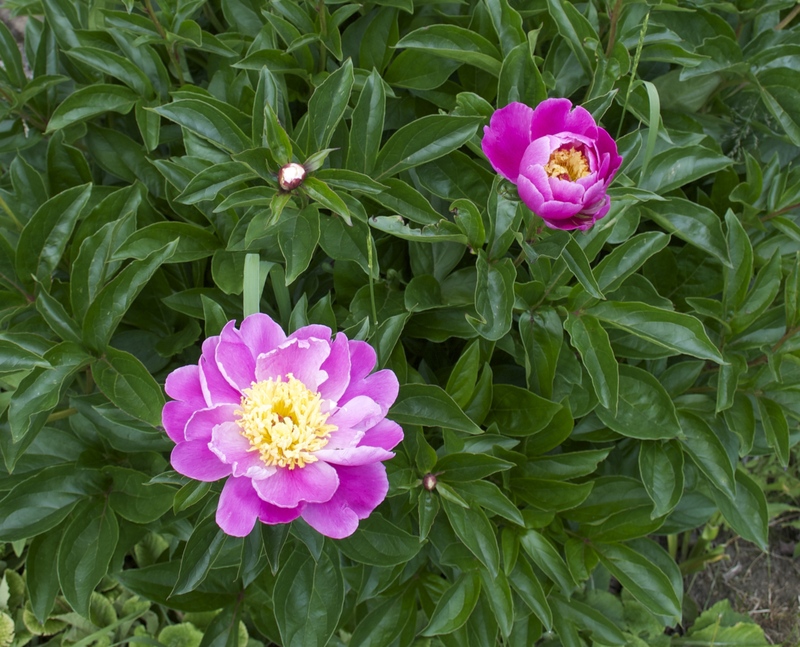 Now Edith and I want to show them off to Dianne, herself an accomplished gardener. The front bed is especially lush at that point of the summer. What she points out is so small––just a little over an inch long––that I can’t see it at first. Soon it is unmistakable. Flitting, hovering, darting about, this little bird pokes its needle-narrow beak into the tiniest flowers, then withdraws, then angles about to probe the next bloom. A stirring sight! I have long delighted in these tiny, unimaginably agile creatures. Here now is one even smaller than the miniscule birds I’ve observed in Mexico, Colorado, Peru, Singapore, and elsewhere. It doesn’t seem possible that something so delicate, so beautiful, so perfect can exist. The three of us watch in silence for a long time. Something soon puzzles me. Yes, the wings beat so fast as to be almost invisible. Somehow they seem different, though, not quite as rapid as what I’ve seen on other hummingbirds in the past. A consequence of this one’s size, perhaps? Or of its youth? I can’t even guess. Yes, the tiny bird pokes its beak into the flowers . . . but somehow with a slightly different motion, or in a slightly different way, from what I’ve observed in the past. Intrigued, I edge closer to get a better look. The bird may or may not notice me, but in any case it keeps moving from flower to flower. I expect it to zip away at a moment, but it allows me to draw near. Then I see something I would never have expected: antennae. Stepping closer still, I spot another feature out of keeping with a hummingbird’s: legs that dangle from the tiny body. Two legs . . . No, four legs . . . No, six. 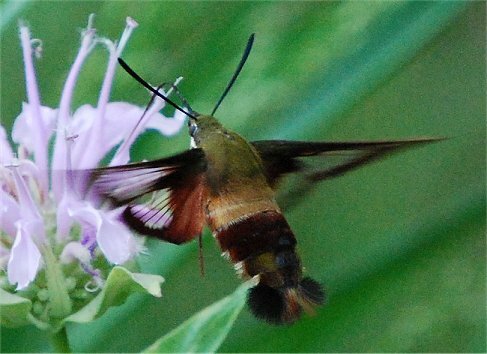 The hummingbird isn’t a hummingbird at all––it’s a moth. 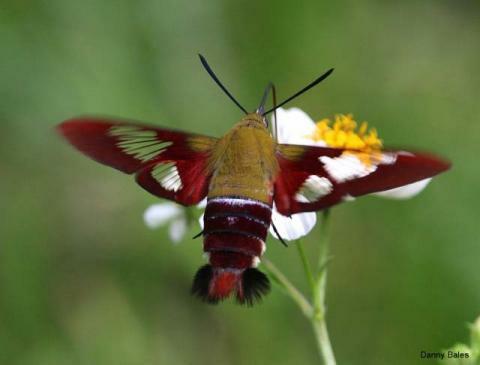 As I learn later, it‘s Hemaris thysbe, the so-called hummingbird clearwing moth. First identified in 1775 by Johan Christian Fabricius, a Danish naturalist, members of this species are common throughout the entire eastern half of the United States and in much of Europe; and, according to several articles I’ve read, they are frequently mistaken for hummingbirds because of their coloration and fast-moving wings. They may also have contributed to the legend of faeries in England and elsewhere. Our perceptual error in the garden is understandable. But at that moment, the moth itself—delicate, gentle, languid in its motions—transfixes all three of us simply for existing, simply for being there. I am not a mystic who feels drawn to see the moth, whether immolated or merely airborne, as a promise of Reality beyond reality, of Life beyond life. Moths are intriguing in the moment and for the moment. I’m not convinced that there is transfiguration or metamorphosis of what lies right before us. There is no fleshly transcendence, only immanence. There is perfection in the here-and-now: the day warm and bright, the air still, the flowers resplendent, the hummingbird-impostor moth beautiful and beguiling as she makes her rounds among the blossoms. Yosa Buson. Haiku Master Buson (Yuki Sawa, tr. ; Edith Siefert, ed.). Torrance, California: Heian International, Inc., 1978. Fabricius, Johan Christian. Biographical Sketches in The Bulletin of the American Museum of Natural History, 1901, pp. 61-62.